In lieu of flowers, memorial donations may be made to the El Dorado Springs Church of the Nazarene and left at the funeral home. 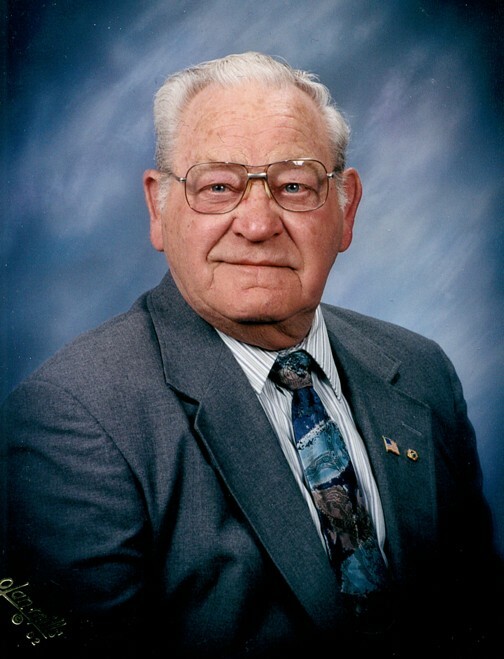 Robert L. Barlow, Sr., age 85, of El Dorado Springs, Missouri, passed away on Tuesday, February 3, 2015, at his home. He was born on July 6, 1929, to Byron and Maggie (Myrick) Barlow in Kansas City, MO. Robert is survived by his wife, Eva Marie, of the home; six children: Mary Asbill (Tim) of Kansas City, MO, Bobby Barlow (Debbie) of El Dorado Springs, MO, Kathy Grant of Merriam, KS, Diane Ruby (Steve) of Bethany, OK, Margie Cabla (Henry) of Temple, TX, and Tom Barlow (Karen) of Golden, CO. Robert was preceded in death by his parents, Byron and Maggie Barlow; his sister, Betty Orlando; two brothers: Junior and Tom; one grandson; and one great-grandson. On January 31, 1950, Robert married the love of his life, Eva Marie Hallmark, in Leavenworth, KS. They were happily married for sixty-five years. Together Robert and Marie have six children, nineteen grandchildren, and forty-one great-grandchildren. Robert was a loving husband, father, Papa, and friend to all. He was a member of the Church of the Nazarene since 1962, and served the Lord faithfully as a Sunday School teacher, church usher, and in any other way he was called to serve, including helping to build the Nazarene Church in El Dorado Springs. Robert retired from the Kansas City Terminal Railroad as a switchman in 1990, after thirty-seven years of service. He and Marie moved to El Dorado Springs where he was an active member and former President of the Lions Club. He was a member of TOPS, MO 0319, and was state runner-up King in 2004. He also served the community by delivering Meals on Wheels, volunteered at the Senior Center, and served on the El Dorado Springs City Revitalization Committee. Robert had a passion for fishing and golfing. He also enjoyed making wood projects with his wife for their children and grandchildren. The family wishes to extend a special thank you to his church family and many friends and to Transitions Hospice in Bolivar for their loving care and support. Funeral services for Robert L. Barlow, Sr., were held on Saturday, February 7, 2015, at 11:00 a.m. at the El Dorado Springs Church of the Nazarene with Rev. Wendell Daniel, Dr. Steve Ruby, and Rev. Tim Asbill, Jr., officiating. Larry Worthington and Jay Jennings provided music. Interment followed at Love Cemetery under the direction of Bland-Hackleman Funeral Home. Pallbearers were: Timothy Asbill, Jr., Steven Ruby, Christian Grant, Aaron Ruby, Tony Barlow, Joey Barlow, Jonathan Cabla, and Paul Wood. Honorary pallbearers were Robert’s grandsons-in-law and great-grandsons.